Beauty Costs > How Much Does an Umbrella Cost? How Much Does an Umbrella Cost? 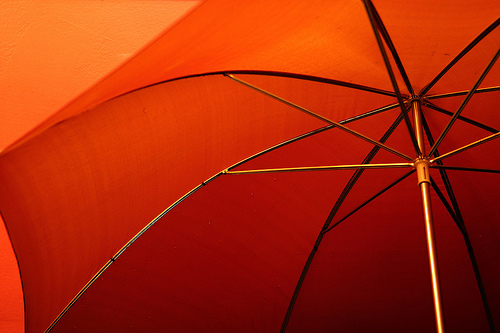 An umbrella is a folding canopy supported by either a wood or metal rib, which is mounted on a metal or plastic pole. This umbrella is designed to protect someone from the sunlight or rain, and the world, the term “umbrella” refers to a device designed to protect someone from the rain. The cost of an umbrella will depend on the brand, the type, materials it’s made from and where it’s purchased at. On average, an umbrella can cost anywhere from $5 to as much as $200+ for a higher end one. Most purchases, however, will be in the $10 to $35 range. A higher-end brand, such as Louis Vuitton, retails for $350 to $650+. A golf umbrella, which is a handheld umbrella that can collapse and is much larger than an average one, usually 60 to 70 inches across. for example, can range anywhere from $8 to as much as $45. The popular Totes Signature Golf Umbrella, for instance, retails for $35 to $45. An umbrella designed for the beach can cost anywhere from $10 to as much as $145. Higher-end beach umbrellas will be made of a plated steel while the cheaper ones will come equipped with a steel pole to place in the sand. A clear umbrella can cost anywhere from $4 to as much as $50. Patio umbrellas tend to be on the higher end, costing anywhere from $30 to as much as $200. At Ikea, for example, they sell patio umbrellas for $49 to $189. At Walmart, for example, most of the umbrellas they list sells for $10 to $20. You will find umbrellas can come in a variety of prices and can be found anywhere from a local discount store to a higher end department store such as Macy’s. A hand-held umbrella, no matter which type you purchase, should have a type of handle, either made from metal, plastic or wood, which is usually straight or bent for easy handling. Popular brands include Totes, Rainlax, Kolumbo, Rainkist, Crown Coast, Rain-Mate, RainStoppers, G4Free and LifeTek.